Home » Mini-Keynote Editorials » 2019 » Would You Hire a Three-Year-Old Life Coach? Patients in psychotherapy are amazed at how many of their limiting beliefs were implanted in their minds at such young ages. I myself was shocked to discover that ambitions I had as a twelve year old were managing my life as a thirty-five year old, based on ideas that my pre-pubescent-self planted in my subconscious – ideas that were still running my life as a mature adult. My so-called “mid-life crisis” involved recognizing that I had not achieved the success that my twelve year old had in mind for me, where I should be at age thirty-five. In effect, my twelve-year-old self was running my life! Recognizing this I ventured into the human potential movement and the vast world of self-exploration, incorporating this practice into my life. That was over forty years ago! Yet I still occasionally come across an old assumption that I adopted as a youngster. I now see these insights as opportunities to gain more liberation from my self-imposed limitations rather than getting embarrassed as I did in the early years. 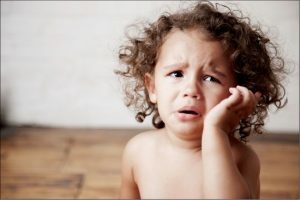 When we have several dozen assumptions or “truths” buried deep in our subconscious, assumptions and ideas generated by us as toddlers or preschoolers, we are essentially being coached or managed by that child, almost as if he or she was alive today. Recognizing the degree to which this early programming is dictating our current behaviors, testing them for current applicability and dropping the outmoded ones is part of maturing emotionally and spiritually – part of “the great growing up” that I write about in my book. After all we wouldn’t hire a three-year-old as our life coach, would we? Oh, well….perhaps we already did. ← Where is the Kingdom of Heaven?